Membership | Swing Des Moines! Membership – Come Join the Fun! Best of all…the chance to volunteer at Swing Des Moines activities!! Membership in Swing Des Moines! is open to anyone with a love for swing. If you want to be part of a dynamic group that lives to educate the public about swing dancing, music, and history, that teaches classes and sponsors workshops, and that provides plenty of opportunities to dance, Swing Des Moines! is for you. 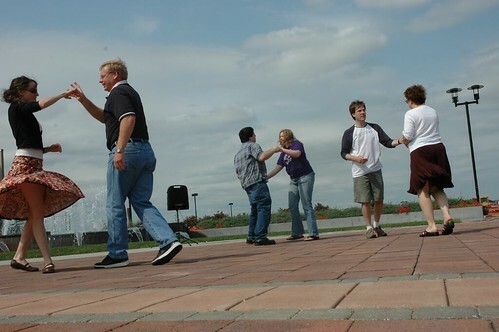 In order to become a member of Swing Des Moines, an individual must complete a Membership form, agree to abide by bylaws and standing rules of Swing Des Moines, and pay Membership dues. Copies of the bylaws and standing rules may be obtained by emailing us or asking at any event or class. Contact our membership coordinator with any questions or to join, or you can sign up at any SDSM event! Visitors are always welcome at member events, but are strongly encouraged to join if they wish to continue participation.